The special program to offer refuge in Canada for Afghan interpreters who served alongside Canadian Forces has rejected two of every three applicants. Two of every three Afghans who sought refuge in Canada after risking their lives working for the military in Kandahar have been turned away, including some who worked alongside Canadian soldiers during the bloodiest days of battle. The special-measures program was announced with much fanfare by Immigration Minister Jason Kenney in the fall of 2009 and brought Canada in line with other NATO countries which had already launched similar initiatives. Applicants had to demonstrate they faced extraordinary risk as a result of their work with Canada. Few didn't. Working as an interpreter for NATO forces in southern Afghanistan was akin to having a Taliban bull's-eye on the back of a shalwar khameez. Stories of night letters, threatening phone calls, abductions and even hangings were part of the job. As interpreters also travelled with soldiers and diplomats, at least six were among those killed during the IED strikes that claimed 161 Canadian lives. Should Afghan translators who worked with Canadian forces be granted refuge? Take our survey. The other major requirement for acceptance was a bit tougher: interpreters must have worked for Canada for 12 consecutive months between October 2007 and July 2011, when the mission in Kandahar came to an end. But Canadian troops began their work in Kandahar in 2006, as did the hundreds of interpreters who would go on to work for the Canadian government. The demand for their services was extraordinary. 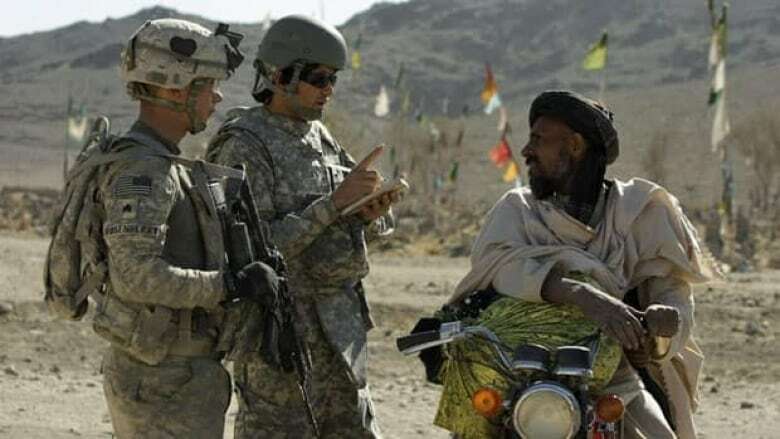 The military says that over the five years of work in Kandahar, they had more than 6,000 requests from soldiers for assistance in speaking with the local population. Between the summer of 2006 and the summer of 2007, Canada endured some of its heaviest fighting and the beginning of the IED scourge. Some accepted the risks, like Muhibollah Karegar, 32, who said that being an interpreter was the only way to make a good living. He started working at the provincial reconstruction team base in 2006 and before long was travelling out to assist in Operation Medusa, a pitched battle for control over the restive Panjawii district. "I have seen the most dangerous days in my life with Canadian Forces," Karegar said in an interview over email. "And that was a very dangerous time when I was working." In his application to the program, which he provided to The Canadian Press, he recounted how he was followed home and in the market by the Taliban. He told his military supervisors and they kept him inside the PRT base for three days. He asked if he could carry gun, but was told no. The calls and threats continued. In 2008, an interpreter friend of his was killed in front of his house, and Karegar said he'd had enough. "I thought that quitting (my) job at the PRT would save me and my family," he wrote. Burned out by the stress, he remained at home, which he says caused his wife to leave him and take their children to Pakistan. He moved to Kabul for a time, but couldn't find work. The threats continued and eventually, Karegar said he decided he had no choice but to go back to work for the coalition forces as they would give him a place to live on the base. After seeing his interpreter colleagues apply to move to Canada and be accepted, he decide he'd leave as well and join family he already had in Toronto. "I want to start a new and peaceful life in Canada," he said. But his application to come to Canada was denied. While he worked more than 12 consecutive months for the Canadians, it was not the right 12 months. Karegar admits he knew about the time-frame restrictions, but rumours swirled among the interpreters that others in similar situations had been accepted. When his application was denied, he appealed but was rejected again. A spokeswoman for Citizenship and Immigration says the program needed a start date and "logistically, October 2007 was judged to be most appropriate as a reference point for employment." "As the program ended in July 2011, there is in fact almost a four-year employment window open to potential applicants," Rachelle Bedard wrote. At the time he launched the program, Kenney said he expected "a few hundred" successful applicants at a cost of $3 million a year. The minister declined an interview request. "Our government recognizes the significant contributions made by these brave and courageous Afghans to our important mission," his press secretary Candice Malcolm said in an email. But Toronto immigration lawyer Michael Niren said the special measures program is a "disgrace and an embarrassment to Canada." "Not only are legitimate Afghan refugee claims being denied, here we have a program that lures desperate Afghans into service and sacrifice for Canada and then 'thanks' them by refusing their claims for protection," Niren told CBC News in an email. "This brings our immigration and refugee program to an all time low." Around 550 Afghan nationals are expected to settle in Canada as a result, including translators, as well as their spouses and children. The Associated Press recently reported that 2,300 Afghans applied for a similar program run by the American government. The U.S. Afghan Allies program is supposed to award up to 1,500 visas each year through 2013. Not a single visa has been handed out. After Karegar was turned down the first time for the Canadian program, he made a passionate plea to the government panel. Interpreters have no place in their communities in Kandahar, he wrote, and will always be a Taliban target. "Do you think if they find me they will let me [live] and forgive me?" he wrote. "There will always be risk for the lives of interpreters." P.O.V. : Should Afghan translators who worked with Canadian forces be granted refuge?